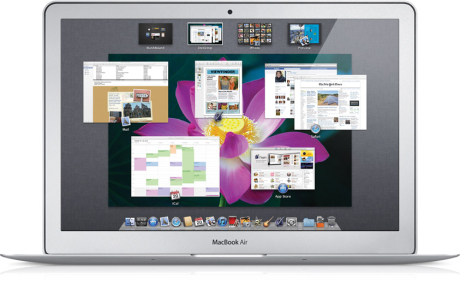 This gives the users an instant access to all the applications that are available in the Mac. Whatever you are working on, goes to the background and it is not disturbed, but when the launchpad is opened, just the list of all the applications come on the front for you to have an easy access on them. Almost all the functions of the apps can be done right away from the Launchpad, the main ones being the deletion of apps, organizing them into folders and arrange them the way you want to make them look easier to scroll through. 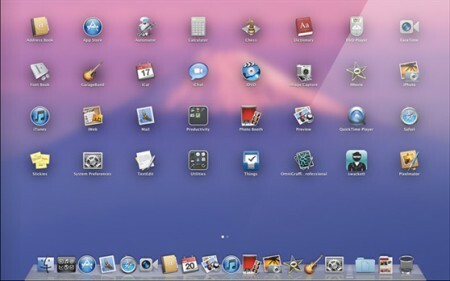 The OS X Lion is designed to show the beauty of the apps, with a full-screen view where every pixel is utilized by the app and there would be no dedicated space for anything else. Having a full-screen app open doesn’t mean you are restricted to that, because you can run multiple apps with same view on the background and switch whenever needed. You won’t be running around in various software websites and resources to find some good apps for your Mac, as the Mac OS X Lion itself is a place which would give you all the different apps that you need for the Macbook. 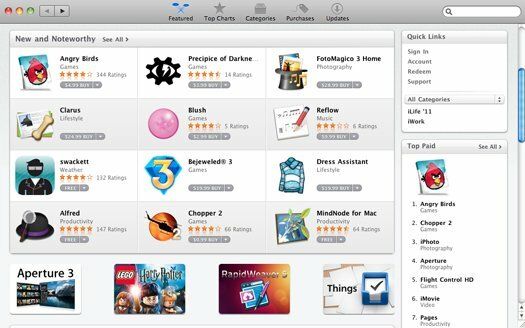 The Mac App Store helps in downloading free apps and purchasing the paid ones, and the store itself helps in installing the applications without you requiring doing anything except hitting the download button from the App store. Check how you can download paid apps for free from the Mac app store, and for those who are getting an error, here is how you can fix the error 100 in Mac app store. This is an excellent feature of the OS X Lion. Whenever there are software updates available and they are installed, the Mac would require the restarting of the system to continue. With the resume function, the Mac saves your current work and resumes the same after the Mac restarts. That reduces the burden of saving and closing all the apps before restarting the computer, like what we still do on the other traditional computers and laptops. The way you interact with the Mac, is taken to the next level, thanks to the multi-touch gestures of the new body of the macbooks, and to the Mac OS X Lion. The functions like swiping, zooming in and out, pinching to open the apps page etc. are all done with the multi-touch trackpad, and the gesture response is perfect with the Mac OS X Lion. This is a zone where you can get a view of almost everything available on your mac. The Dashboard, Expose, Spaces and lot more come together at a single place where you get a simpler and faster view of everything. A single swipe on the trackpad is enough to bring the Mission Control on the front. Apart from the features discussed above, the way Mac runs with the best organizing, indexing, automating features, it surely does the stuff a lot better for users to perform and experience the interface in their best way. For those who are still in the Leopard OS version and want to upgrade to the next level, you can follow the OS X Lion upgradation steps.